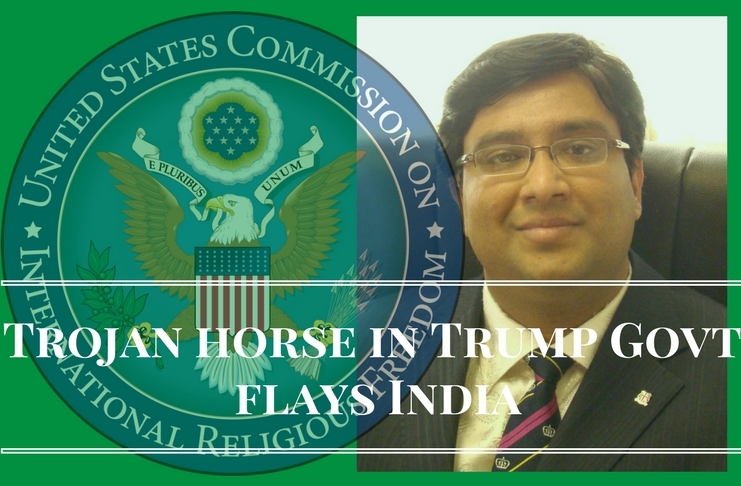 USCIRF, a US government body commissioned an anti-Bharat terrorist sympathizer to write an official report on religious freedom in Bharat. Now, Hindu American Foundation (HAF), an independent advocacy organization for the Hindu American community, is leading a campaign ‘Act Today! Call Your US Representative‘ asking all Hindu Americans to call their representative and ask them to sign a letter of inquiry to USCIRF started by Congresswoman Tulsi Gabbard. In February, the US Commission on International Freedom (USCIRF) published ‘Constitutional and Legal Challenges Faced by Religious Minorities in India’, a special report authored by Dr. Iqtidar Karamat Cheema, an activist who has publicly endorsed terrorist movements active in Bharat in Kashmir and Punjab. And the organizations that he works for has been banned by Israel and had funding revoked by the UK. HAF says it has made multiple inquiries to USCIRF and has been repeatedly stonewalled. So, it went to Congress…and is now asking Hindu Americans to contact their Representative. HAF is requesting Hindu Americans to call their Representative and ask them to sign Rep. Gabbard’s letter. The deadline to sign the letter is this Friday, June 30th.